Ellie writes: After two weeks, ELAM’s time at Universal is coming to a close. Throughout this time we’ve all had the opportunity to learn a great deal about the industry and we’re leaving with a much clearer vision of our future careers. There is no doubt these past two weeks have been an experience of a lifetime – I could never have imagined my time would have included meeting Take That. Also at Abbey Road, but on the events side, has been Connie Morgan. “It has always been a dream of mine to have experience in any organisation renowned for music!” she says. “It has been amazing and I will remember the experience for the rest of my life”. 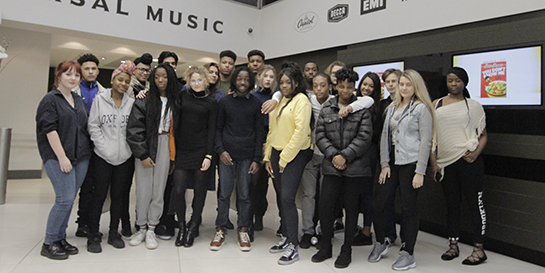 Since ELAM opened in 2014, Universal Music has been a huge support to the college and its students. As a college, we have masterclasses, work placements and mentors coming from the company, which has opened many doors for our trainees. This group of trainees only started college in September 2016, but have already had a huge amount of opportunities offered to them. 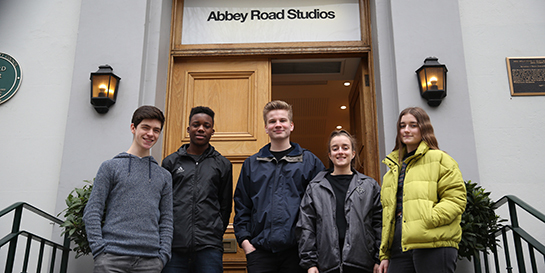 Our trainees have been scattered around London with placements in Kensington High Street, Abbey Road, Decca at Kensington Village, Caroline in Ladbroke Grove as well as our sister company Universal Music Publishing in Fulham. Thanks to Universal, ELAM trainees have been able to get a taste of what this industry is like, which is an amazing experience for young professionals, like ourselves. As a thank you, the trainees have put on an ELAM On Tour final performance. Check out @ELAMOnTour on Twitter and Instagram, to find out more of what we’ve been up to.